Inflammatory bowel disease (IBD) affects the digestive tract, but it can also affect other parts of the body as well. People with Crohn's disease and ulcerative colitis may also be at risk for developing liver problems. Some of the liver problems that are associated with IBD are primary sclerosing cholangitis, autoimmune hepatitis, and primary biliary cirrhosis. 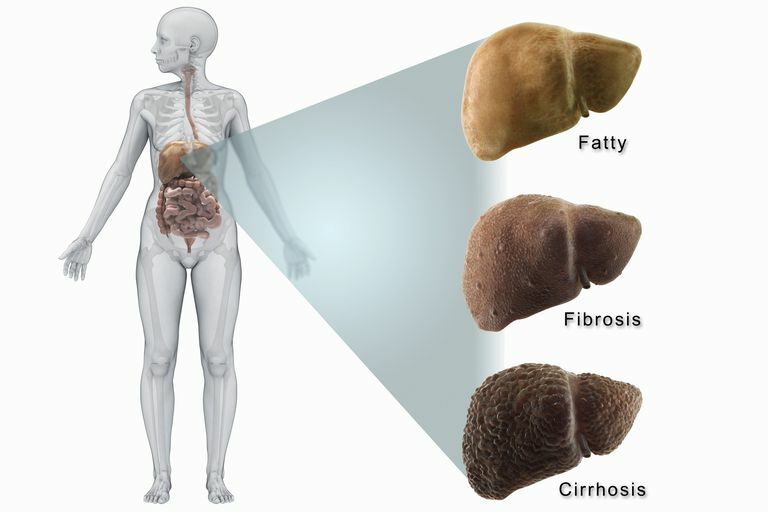 The liver, which is the largest organ in the body, provides several important functions without which the body can not survive. The liver removes impurities and foreign bodies from the blood, makes the proteins that help blood clot, and produces bile. When disease interferes with the functioning of the liver, it can cause significant medical problems. In people with IBD, cirrhosis could be caused by autoimmune hepatitis or primary biliary cirrhosis. Autoimmune hepatitis is associated with a dysfunctional immune system. Primary biliary cirrhosis is an inflammation of the bile ducts that can inhibit bile from leaving the liver and going to the small intestine. When the bile gets backed up it can cause further damage to liver tissues. Primary sclerosing cholangitis, which is largely associated with ulcerative colitis, can also overlap with autoimmune hepatitis (sometimes called "overlap syndrome"). Liver damage isn't reversible, but when liver disease is present, further damage can be prevented. Getting proper treatment, eating a healthy diet, and avoiding alcoholic beverages are all important to halting the progression of liver disease. Any complications from the liver disease must also be treated, to avoid further damage to other body systems from toxins building up in the brain and the blood. Medications might also be used to manage portal hypertensions and varices. In some cases, the liver becomes too damaged and a liver transplant is needed. The transplant is from a donor, and with improved technology, is increasingly successful. People with IBD who have concerns about developing liver disease should ask their gastroenterologist about how often they should have liver testing. Some medications can also be associated with liver disease, and regular monitoring is recommended. Olsson R, Glaumann H, Almer S, et al. "High prevalence of small duct primary sclerosing cholangitis among patients with overlapping autoimmune hepatitis and primary sclerosing cholangitis." Eur J Intern Med. 2009 Mar;20:190-196.